“When you look at yourself in this mirror, think of me.” So the young barge worker and drifter Joe (Ewan McGregor) notes as he tosses it into the water. And he’s not too proud of himself. Actually, it’s an unpleasant topic, how someone responsible for serial misery of sorts lives with it, and letting the audience figure it out becomes the plot trick of the 2003 release "Young Adam". It should be pointed out that were Joe psychopathic, the film would take on a different character, and become pointless. Joe is capable or remorse, if he would only really feel it. In the early 50s, the body of a young Cathy (Emily Mortimer) has been pulled out of the Clyde river near Glasgow. Joe, in the meantime, gradually moves in on the married owner Ella (Tilda Swinton, with Peter Mullan as the husband) in scenes that are quite graphic. But the film tells the complete story in layered fashion, jumping back and forth, as we learn of Joe’s past relationship with Cathy (again, energetic), when he was trying to become a writer. (A typewriter that winds up in the river becomes an important symbol in the film, which doesn’t inspire admiration for writing the way “Barton Fink” did.) One could believe the worst – that Joe is like a Hannibal – but he is more a coward, after Emily has gotten pregnant. Then, there is courtroom drama, which in Britain becomes costume drama, with audience grunts. The cops nab the wrong man for Emily’s death, and Joe attends the trial, with some visible discomfort. And Britain still used the gallows then. The film was made by Hanway in 2002, when McGregor was about 31, a few years older than in “Rogue Trader”. He’s already grizzled by boat life, which has its own form of bodily insults and male intimacy. The film is directed by David MacKenzie, and is based on a 1957 novel by Alexander Trocchi, curiously written in the first person (which may make the use of flashbacks and a non-time but topical sequence a way to tell the story in film) . The title is obviously metaphorical. Here is Sony’s official site with an NC-17 rating. The graphic nature of the film seems of little consequence compared to the story concept, and the Scottish setting, which is quite realistically filmed (with all those images you remember from English literature) at 2.35:1, and looks sharp in BluRay even though it is a conventional DVD. 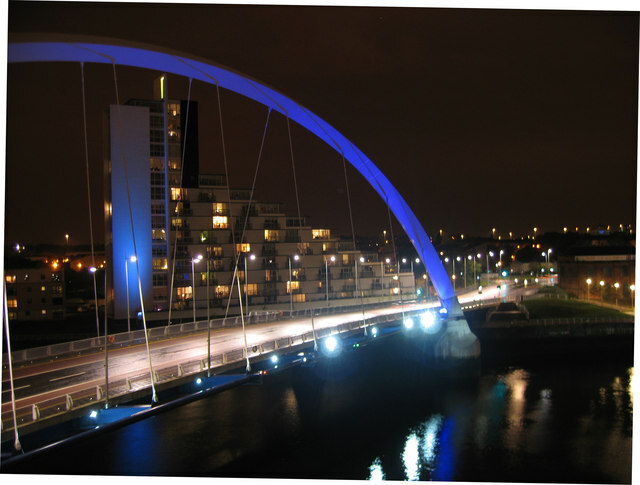 Attribution link for picture of Clyde Arch in Glasgow; I visited the city in November 1982.